The best smart scales of 2019 are affordable, accurate, and easy to use. They should be able to help you keep track of your progress and ultimately help you reach your fitness goals. Finding the best smart scale for your needs can be a little tricky because there are so many products to choose from. My goal for this article is to show you what you should be looking for when comparing smart scales. I’m also going to show you my top picks for the year. Lets get started. 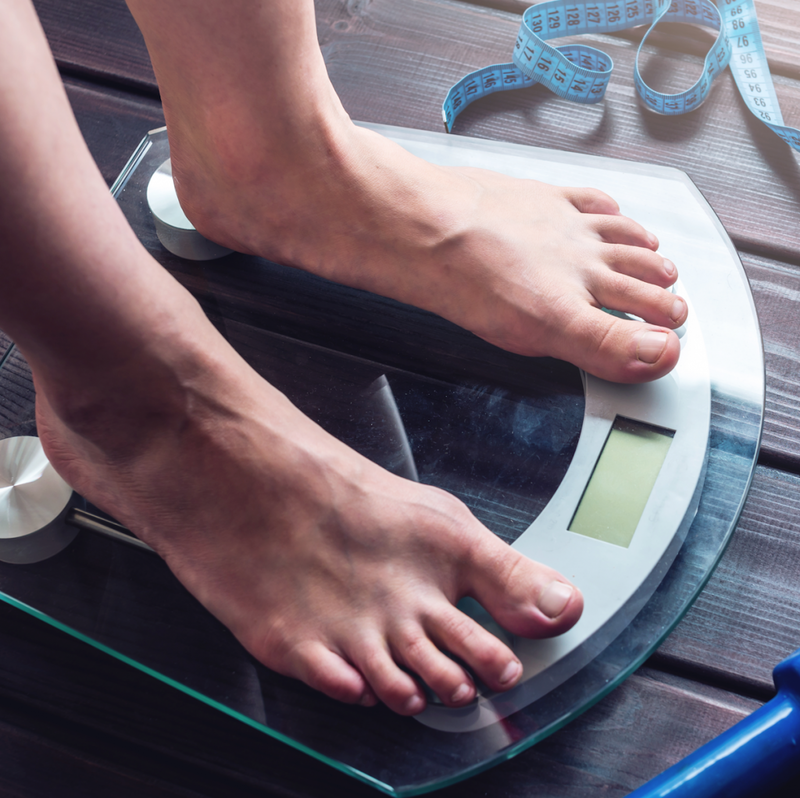 If you’re not sure what a smart scale is to begin with, that’s ok. A smart scale, also known as a wifi scale, is simply a type of bathroom scale that can connect to an app for tracking data. These scales communicate through the internet, that’s how the name “wifi scale” came about. The type of data these scales can track varies a little from model to model. As a scale, their first function is to measure our body weight of course. All of these devices have that in common. And even if tracking your weight is your only goal, a smart scale might still be a wise choice because it will save your weights and track them over time for you. If you use a smart phone or pad, this makes it really easy to monitor your weight loss (or gain). Most smart scales will also calculate your body fat percentage. This is why most folks are interested in getting smart scales. Body fat percentage is a key calculation for determining overall fitness. It basically tells you how much of your overall weight is made up of fatty tissue. It’s calculated by dividing your fat weight by your total body weight. For example, if I weighted 100 lb, and I had 20 lb of body fat, my body fat percentage would be 20% (20/100). But how does a scale determine how much of our body is made up of fat? Good question. It uses something called bioelectrical impedance analysis (BIA). It basically means the smart scale sends a mild electrical charge through your body through the electrodes you are standing on. Based on how fast the current travels through your body, the smart scale can calculate how much of your body is made up of fat, muscle, and bone. Each of these body tissues conducts electricity differently and the scale is smart enough to calculate your composition. Just keep in mind these calculations are estimates and things like hydration level, eating, and exercising and skew the results. For more info, check out this article on how smart scales work. I mentioned at the beginning that there are a ton of smart scales on the market these days. Deciding which one will be best for you can be a little tricky, but I think you should concentrate on 3 factors: metrics, compatible apps, and accuracy. You really need to consider which metrics you are most interested in tracking before you decide on a smart scale. This is because you need to make sure you find one that tracks everything you are interested in. Most people are interested in weight, BMI, and body fat percentage. But if you are a competitive athlete or just love tracking data, you may want a scale with more sophisticated tracking abilities. It’s pretty amazing what some of these scales can calculate. A lot of these scales will measure between 12-16 different metrics. You’ll see what I mean down below. If you are really into stats, you might want to find a scale that measures a ton of stuff. In a lot of cases, it doesn’t really affect the price either. This is another important thing to consider. We need to make sure our smart scale is compatible with our fitness app of choice. Some scales are compatible with multiple apps while others are limited to 1 or 2. Most of the apps are free, so you could always download the app a prospective scale uses and play with it to see how usable it is. If you are already using an app you like, look for a smart scale that is compatible. Obviously we want our scale to give us readings that are as accurate as possible. I don’t think anyone would purposefully buy an inaccurate scale (but you never know). Unfortunately, no smart scale ever admits that it isn’t very accurate. I guess that wouldn’t make for very smart marketing. So, the best way to get an idea of how reliable the scale is before buying is to read user reviews. Most scales should be pretty reliable with assessing body weight these days, but not all are. Keep in mind the body fat percentage and other more advanced metrics are estimates. The key is trying to find a scale that is reliable with it’s estimates (that is, you shouldn’t see a 10% change in body fat over 24 hrs). Now that we know what to look for, lets take a look at the best smart scales currently available on the market. The RNEPHO Bluetooth scale made my number 1 choice because it has a lot to offer and comes at an incredibly low price (~$30). This smart scale boasts that it is capable of measuring 11 different metrics and tracking them all over time. It’s also compatible with several fitness apps and is pretty sleek looking, I must say. As you can see, this scale tracks a lot of info. Honestly though, most of us aren’t concerned with most of these metrics. You can’t expect a scale like this to be especially accurate with assessing stuff like water % (hydration level) or metabolism, but it doesn’t hurt to take a look at it. Luckily, RENPHO doesn’t make us pay more for the extra metrics. The RENPHO scale is compatible with the 3 most popular fitness apps listed above. You can also download the free RENPHO app if you like and use that to track your data. Their app uses bluetooth (as the name implies) and is compatible with both Android and IOS devices. This scale uses 4 electrodes, which is considered to be more accurate than 2. Users agree this scale is quite accurate in terms of body weight. With regards to the other metrics, opinions vary a little. Some users complain that the body fat % is way off while others report this scale provides similar results to other more expensive devices. The RENPHO does give consistent results, and that is really the best we can hope for with smart scales. It’s difficult to say how accurate these other metrics are because they really are estimates. Overall, this smart scale is at least as accurate as the other smart scales available. Overall, the RENPHO Bluetooth Body Fat Scale is a great option at a great price. It tracks every metric you could think of and then some. It’s also compatible with the most popular fitness apps and easy to use. This scale is very well reviewed, it’s currently rocking a 4.4/5 average rating on Amazon with over 4,000 user reviews. The Eufy Bodysense Smart Scale is a close runner-up to the RENPHO. This scale measures similar metrics and is similarly priced (~$40). The Eufy Smart Scale is another highly rated product that can help you track all your fitness data and reach your goals. If for some reason you don’t care for the RENPHO, the Eufy would be a smart choice. The Eufy’s tracking metrics are almost identical to the RENPHO. They included a “visceral fat” measurement, which is a little different from the scale mentioned above. Visceral fat is a type of fat that is found inside our abdominal cavity, near our organs. It’s considered a more dangerous type of fat and having high levels of visceral fat increases our risk of heart disease as well as diabetes and stroke. Eufy also has their own free fitness app called EufyLife. EufyLife can sync data with the two above apps and works on both IOS and Android devices. RENPHO had a little more compatibility options with the Fitbit app. This Eufy scale also has the ability to save your data if your phone isn’t nearby and sync automatically when it is. This smart scale also has 4 electrodes for determine body composition. The majority of users are happy with the consistency of readings provided. There was one user review that reported he actually had the chance to compare his Eufy readings to a BodPod assessment. The Eufy metrics where within 10-15% of the professional measurements… not bad. The Eufy Bodysense Smart Scale is a great scale at an affordable price. It is very comparable to the RENPHO smart scale, however I still prefer the RENPHO because it is a little cheaper and compatible with the Fitbit app. I will admit the Eufy is sleeker looking though, I like the blue and black tint. The Eufy is another highly rated product. It is currently sporting an average user rating of 4.0/5 rating on Amazon. The Yunmai Smart Scale is one of the most popular and highly rated scales available on Amazon. And for good reason. This scale measures 10 different metrics, stores data for up to 16 users, and is well priced at under $40. This Yunmai scale is comparable to the smart scales mentioned above in both function and price. The 2 scales already mentioned track a few more metrics, that’s why this guy came in at number 3. Overall, the Yunmai scale tracks 10 different body metrics. No surprises here, this list is very similar to the other scales we have discussed thus far. This list includes everything we would expect to see with a top smart scale. I like the inclusion of “body age”- it gives us another way of looking at how fit and healthy we are. It’s also fun to see your age go down as your fitness improves. The Yunmai Smart Scale is compatible with the 3 most popular fitness apps. It actually has an advantage over the Eufy in this category, so if you are already using the Fitbit app, the Yunmai might be a good choice. Yunmai has their own free fitness app that is compatible with both Android and iOS systems. Most users like the Yunmai app and report it is pretty easy to navigate. Scales with 4 electrodes are considered more accurate than those with 2. Like all of these smart scales, they tend to be pretty accurate in terms of body weight. Everything else is more of an educated guess than anything else. That said, users report the readings tend to be pretty consistent. The Yunmai is another quality smart scale at a great price. It measure a ton of metrics and can store data for every member of your family (unless you a really huge family). This scale has a larger display screen, so if you have a hard time reading smaller scales, this would be a nice option. A word of caution- some users with large feet (size 11 shoe) have complained that the machine has a hard time measuring their data because the scale doesn’t fit them correctly. Overall though, the Yunmai Smart Scale is highly popular and very well rated. It’s currently boasting a 4.3/5 average user rating on Amazon, with almost 1,800 reviews. The Rukerway BMI Weight Scale is a more sleek, stylish looking scale than some of its competitors. I like that the electrodes aren’t visible on the surface (don’t worry, there are 4 of them in there). This scale is a little more expensive than its predecessors at around $50. Maybe we have to pay a little more for that sleek exterior. The Rukerway is another highly rated smart scale that can deliver a ton of metrics for multiple users. The Rukerway comes in with 14 different metrics being tracked. This is the most of all the scales discussed thus far. Not that more is always better, but if you love tracking data this is a good scale for you. Notable differences include “subcutaneous fat” and “physique rating”. This scale really tries to discern between the different types of body fat. Which is pretty interesting if you’re into that. This Rukerway smart scale is compatible with all the major fitness apps. Feelfit is Ruckerway’s app which can sync with the other 3 fitness apps. Users report Feelfit is easy to use and that it tracks data clearly. The app is compatible with iOS and Android devices. Like the other 3 top smart scales, Rukerway uses 4 electrodes for added accuracy. Unlike the other scales, these electrodes are transparent (I think that’s what the “ITO” indicates). Rukerway suggests that this increases the sensitivity of the electrodes, but it definitely gives the scale a sleek look without the standard metal electrodes showing. This is probably why this scale costs a few more dollars. Overall, the Rukerway BMI Weight Scale is a sleek smart scale that can measure every metric you can think of. It’s a great scale for folks who love tracking data. The transparent electrodes add to the modern look. It’s also great that Rukerway is backing this scale up with a 1-year guarantee. This scale is very highly-rated with an average user rating of 4.3/5 on Amazon. If you would like to see what other folks are saying about this scale, click below. The Bluetooth Smart Body Fat Scale by Weight Gurus (wow, long name) is the best selling smart scale on Amazon today. This is a no thrills scale that does what it says it does. It’s priced a little higher than some of it’s competitors (roughly $50), but a portion of all proceeds goes to charity. I love it when companies give back. You will notice this list is significantly shorter than the other lists we’ve seen so far. The Bluetooth Smart Body Fat Scale only measures 6 different metrics. But lets be honest, these are the most important metrics for most of us. Most casual users aren’t tracking 14 different data points. It’s not like we can selectively loose visceral fat anyway- if you loose weight, some will be subcutaneous fat and some will be visceral fat (if you loose enough). If you are more concerned with weight and body fat percentage, this may be a good scale for you. Sometimes we get too distracted by all of the data available to us. This smart scale is compatible with all the major fitness apps. Users agree the scale syncs easily with your favorite app and is easy to use. Like all of the other smart scales mentioned, this scale can store data until your smart phone is nearby for syncing. The Bluetooth Smart Body Fat Scale has 4 electrodes to make readings as accurate as possible. User reviews show this scale is pretty accurate, especially with body weight. Although some users report getting accurate body fat percentage readings when compared to other measurements they had at their local gyms. The Bluetooth Smart Body Fat Scale has become the best selling scale on Amazon because it’s easy to use and it works well. It doesn’t hurt that this scale comes with a 5-year warranty and the customer service is awesome. This smart scale isn’t quite as sophisticated as the other scales discussed thus far- it only tracks 6 metrics and accommodates 8 users. It’s also priced a little higher than several of the other scales on the market. Should we forgive that considering they are donating to charity? Probably. Overall, this is a great smart scale. If you are looking for a simple to use scale and aren’t worried about all the extra metrics, this is a good choice. It’s currently rocking an average user rating of 4.4/5 on Amazon with almost 5,000 user reviews. The Nokia Body+ smart scale is a sleek looking device that just barely made the list. While it has some flaws (and is a little pricey at ~$100), it definitely earned it’s way on this list with it’s design and ease of use. The Nokia Body+ is the only scale on this list that allows you to see all of your stats directly from the scale- a huge plus in terms of convenience. The Wi-Fi capability also allows the scale to give you a daily weather report…that’s pretty cool. The Nokia Body+ also only measures 6 metrics, but they are the 6 most relevant metrics most of us are interested in. Part of me thinks it’s better for these smart scales to concentrate on fewer stats. The other part of me thinks it’s cool to see all the different metrics (regardless of how accurate they really are). I’ll leave it up to you to decide, but as you can see, the Nokia Body+ only measures about half as many different stats as many of the other less expensive scales. The Nokia Body+ uses the Health Mate app that can be downloaded for free for iOs and Android devices. The Health Mate app can sync up with all the other major fitness apps. Most users appreciate how easy the Health Mate app is to use for data tracking. Health Mate will also sync up with apps that count calories or help you record your nutritional data, such as MyFitnessPal and Weight Watchers. This combination can really help you keep a close eye on your intake and help you reach your weight goals. Also, you can access your data online through Health Mate if you prefer to use a computer. Users report the weighing ability of the scale is quite consistent. The other functions seem to be reasonable consistent as well. In terms of accuracy, it’s difficult to assess with water % and bone/muscle mass. The best we can ask for is that we get similar results on back to back measurements, and the Nokia Body+ appears to do this. Overall, the Nokia Body+ Body Composition Wi-Fi Scale is a popular model with some interesting tricks up its sleeve. The ability to connect through wi-fi and bluetooth may make it worth the extra cash to some folks. It does have a sleek, modern look and is very compatible with other fitness apps. Personally, I think it’s a little over-priced. That said, users are pretty happy with this smart scale. The Nokia Body+ is currently holding an average user rating of 3.6/5 on Amazon. Rounding out the list is the Fitbit Aria 2 Wi-Fi Smart Scale. It comes in at number 7 because its reviews are all over the place and it’s the most expensive model of the bunch (at roughly $130). That said, I’m a big fan of the Fitbit products and the Aria 2 does have some redeeming qualities. Not the least of which is the fact that it syncs with all the other great Fitbit products. This is the smallest list of metrics of all the scales discussed here, coming in at only 4. But Fitbit did include the 4 most important metrics (if you ask me). That said, it gets a little harder to justify the higher price when so many other scales measure and track more information. If you’re a “less is more” type of person, you will appreciate the Fitbit Aria 2. If you love comparing numbers and tracking as much info as possible, I would consider another scale. Ok, so the Aria 2 is obviously designed to sync with the Fitbit app. And it does so wonderfully. A lot of users have found ways to sync the Aria 2 with Google Fit or Apple Health through the use of MyFitnessPal or other such apps, but there’s really no reason to do that. The Fitbit app is a great platform for tracking and storing your data. Especially if you are already using a Fitbit fitness tracker. If you aren’t already or interested in using the Fitbit app, I really wouldn’t consider purchasing this smart scale. It’s too much trouble to try and use this scale with another fitness app by using a third app. Actually, while I’m at it, I wouldn’t recommend the Aria 2 unless you are currently using other Fitbit products. The biggest benefit of this scale is how easily and seamlessly it connects with the other Fitbit products. Using the Fitbit app, you have all of your tracking data and scale data in one place (which eliminates the need for any other fitness apps really). Similar to the Rukerway smart scale, the Aria 2 uses ITO sensors so you don’t have to see the metal electrodes on the bottom of the scale. It definitely makes for a sleeker looking product. Overall, users report weights are pretty accurate and consistent with this scale. The Fitbit Aria 2 is a gorgeous scale with an oversized, easy to read display. That said, I would only consider buying this scale if you are already using other Fitbit products or are currently using the Fitbit app. The Aria 2 is specifically designed to work with their other Fitbit products. If you aren’t, I would save some money and go with another scale mentioned above. User reviews for this scale vary. The most common complaints are with having difficulty connecting the scale to the internet. More recent reviews indicate this problem is being resolved. The Fitbit Aria 2 Wi-Fi Smart Scale is currently holding an average user rating of 3.7/5 on Amazon. If nothing else, I hope you take away from this article that you don’t have to spend a lot of money to get a quality smart scale. 5 of the 7 best smart scales of 2019 are under $50, which is pretty impressive in my book. Especially in an age where everything seems to be getting more expensive. There are hundreds of smart scales on the market these days. When comparing smart scales, I suggest you concentrate on which metrics you are most interested in and which fitness apps you prefer to use. Finding a scale that measures what you want to measure and is compatible with the app you want to use should be your first goal. I also encourage you to compare the warranties. Maybe I didn’t stress this enough earlier, but warranty really is something we should be taking into consideration. To me, a company’s warranty tells us how confident they are their product actually works. Nicer scales should have better warranties. The rest is finding a model in your price range that is well reviewed. I’ve presented my favorite picks here, but don’t be afraid to look further for yourself. The RENPHO Bluetooth Body Fat Scale is my number 1 choice because it tracks a ton of metrics, it’s affordable, and it works with all the major fitness apps. I hope this article helps you in your search for the right smart scale for you. If you have any questions or comments, please leave them below and I’ll get right back to you.